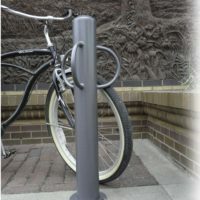 Bollard with optional bike lock loops - Bison, Inc. 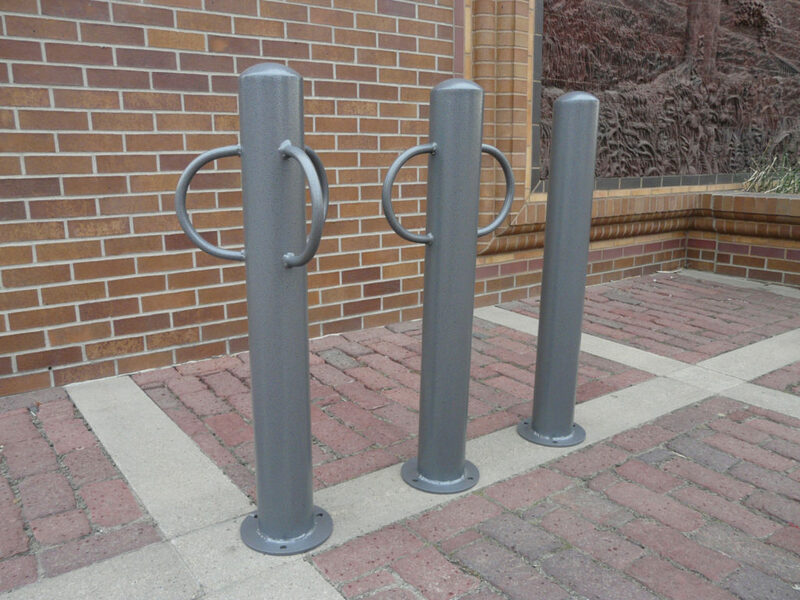 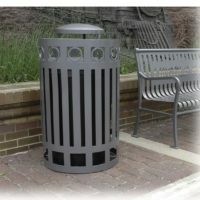 Simple 36″ high bollards are popular choices when space constraints and flexibility are important factors. 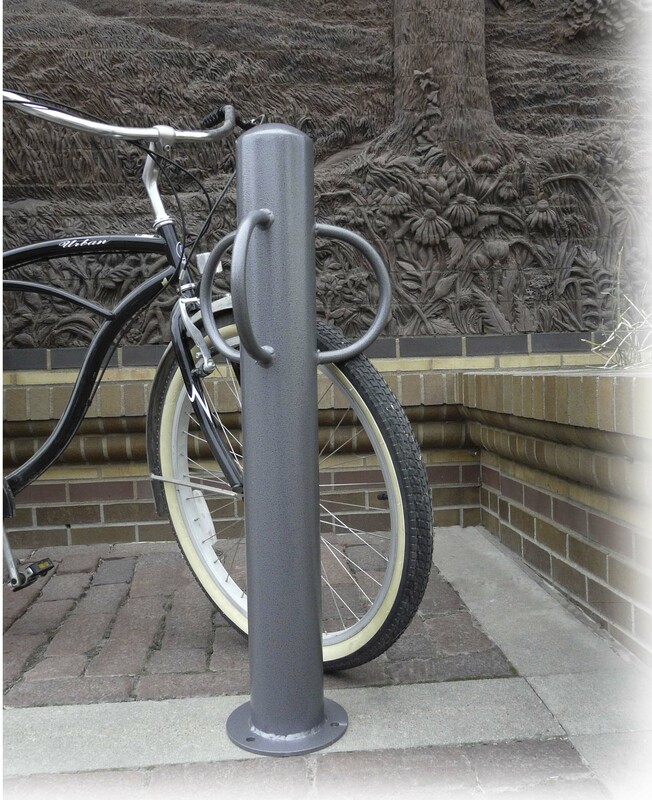 4-1/2″ round bollards are available with two bike lock loops and can be ordered as permanently embedded or surface mounted. 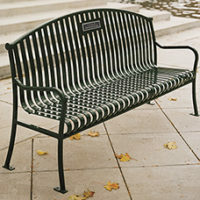 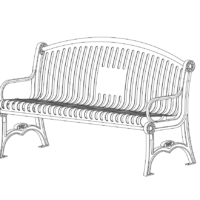 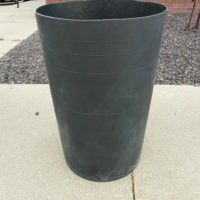 Available in limited finish options including standard Weatherbeater Mastercoat powder coat finish or a super durable hot dip galvanized finish.